This blog is really informative. 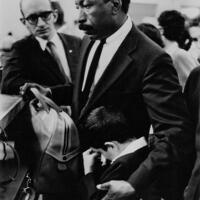 It's about seminal photo essay done by African-American photographer Gordon Parks. In the article, they have provided a detailed description of the events and his outstanding works. https://kaplanmd.com Everything about Gordon Park is given in detail. The magazine propelled a marvelous protect endeavor moving the possess family https://www.australianessayhelp.com/buy-essay to a fresh out of the box new home moving Flávio to a facility inside the america and managing value range to help recovery.